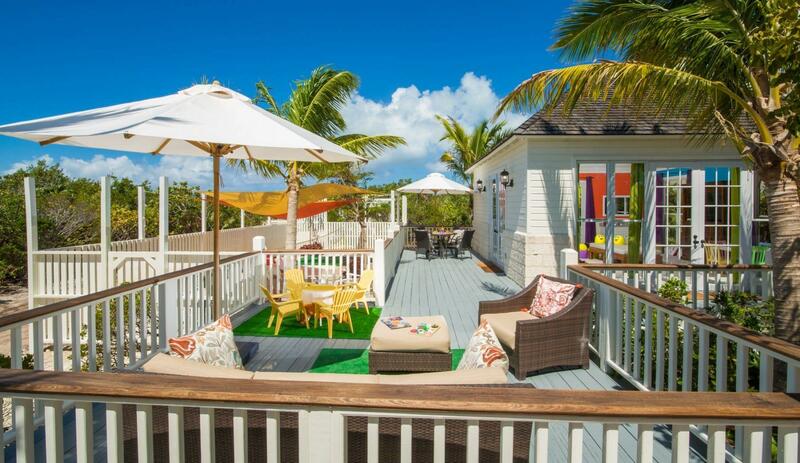 Long Bay Beach has long been home to many stunning, spacious beach front villas. The water is soothingly shallow and the breeze keeps this location nice and cool and comfortable at all times. 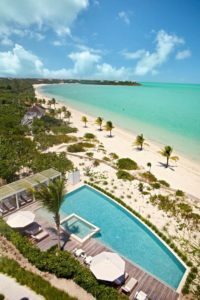 January 2017 marks the opening of the first resort on Long Bay Beach – The Shore Club. The Shore Club features exceptional style, and architecture – coupled with the impeccable service you will experience it is the perfect spot for your vacation. 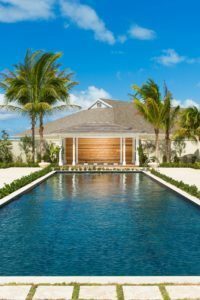 With approximately 36 full suites or 114 guest rooms, The Shore Club offers many more amenities for their guests than any other resort in Turks and Caicos and with the butler service some suites offer, this is truly more like a villa experience with all of the luxuries of a resort – definitely the best of both worlds. 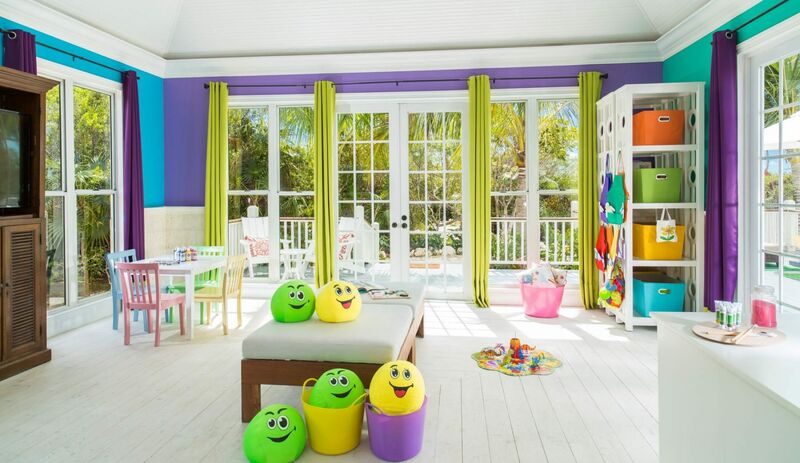 The Shore Club features Junior Suites, 1, 2 and 3 Bedroom expansive luxurious suites. 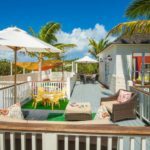 The 1, 2 and 3 Bedroom suites offer ocean front views of Long Bay Beach from the master bedroom as well as the living areas and the balcony. These suites feature an expensive patio or balcony, living room, dining area and fully equipped kitchen. The Deluxe Suites are on the corners of the building and feature a wraparound balcony while the suites in the middle of the building include an additional Study in the suite. The Junior Suites are on pool side of the building and offer either Garden Views, Pool Views or Ocean Views. 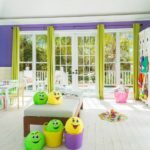 The Junior Suites at The Shore Club either have a garden, pool or ocean view. All suites are spacious and feature a sitting area with a pull out sofabed, king bed and fully furnished patio or balcony as well as an ensuite with a soaker tub and separate shower. 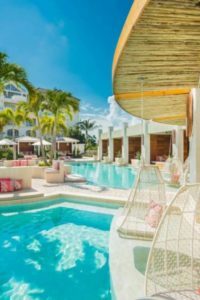 The Executive Penthouse at The Shore Club Turks and Caicos features vaulted ceilings with windows through out the living areas offering panoramic ocean views. The balcony is expansive and there is also a second balcony with a jacuzzi. Enjoy ocean front views from the living areas of the entire suite as well as from the master bedroom. 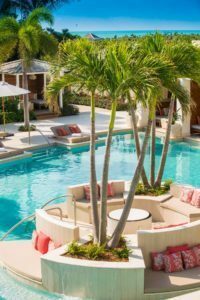 The Shore Club boasts 4 swimming pools – the main Colonnade pool, The Sea Grapes pool, an adults only beach front pool and a lap pool at the Fitness center. 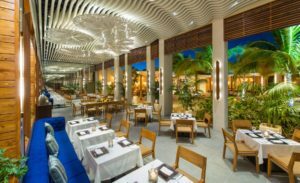 Enjoy drink and lighter fare at both The Sea Grapes and The Colonnade pool. 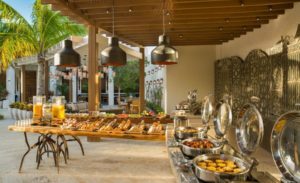 Courtyard Garden – start your day off right with an extensive buffet breakfast included complimentary. 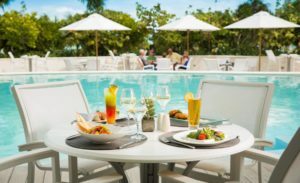 This breakfast includes daily hot items, extensive selection of fresh fruits and fruit juices, pastries and breads as well as a selection of meats and cheese Colonnade – The Colonnade Restaurant / Rope Bar is the perfect spot to enjoy lighter fare during the day or a cocktail in the evening. Be sure to come out in the evening to enjoy the fire pit which is set right in the middle of the pool. SUI REN – experience fusion cuisine like no other. SUI REN is a culinary experience not be mixed Sea Grapes – nothing beats lounging by the pool, enjoying nibbles and a cocktail while watching the ocean. 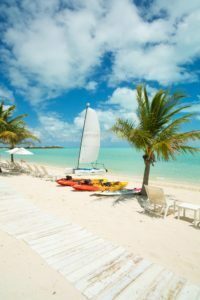 At Sea Grapes you can enjoy it all – the beautiful view Long Bay Beach offers, and the lovely tantalizing dishes and drinks. 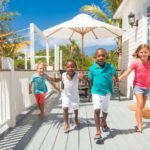 Guests of The Shore Club Turks and Caicos also enjoy a complimentary Kids Club for children from the ages of 4 to 12 years old. 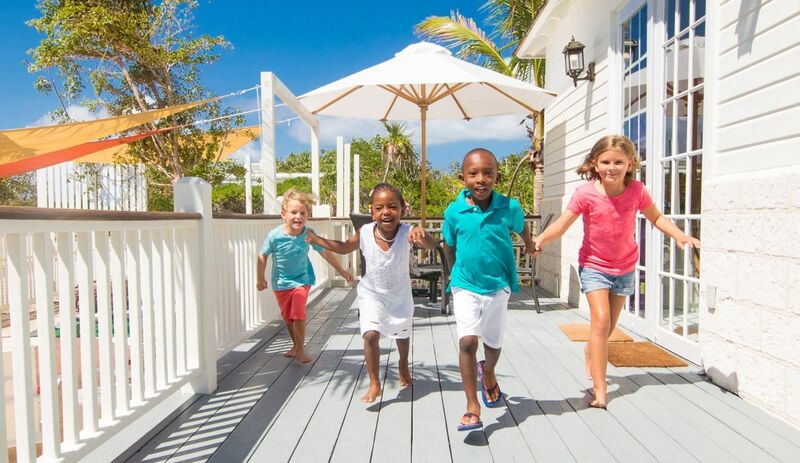 Kids enjoy plenty of activities, games and fun in a beautiful setting. 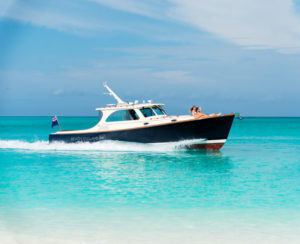 The Shore Club Turks and Caicos is sure to meet all your needs for your next Turks and Caicos vacation. As well, be sure to contact us about the Limited Time offer of a complimentary car rental and return airport transfers included in all reservations by calling 1-877-287-3040.